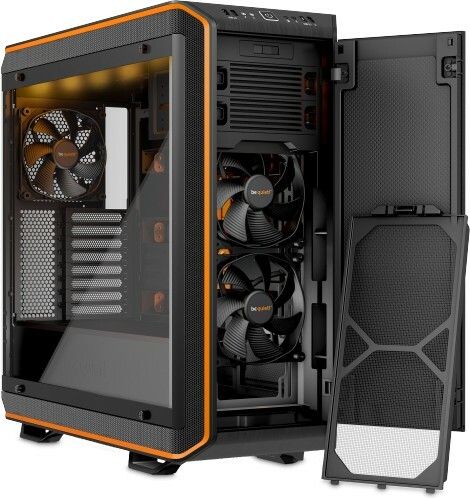 The Dark Base Pro has numerous modularity options to satisfy every desire with lots of features to support special configurations. Aluminium surfaces and steel offer highest stability with a look of extreme elegance. Simply an engineering work of art! The be quiet! 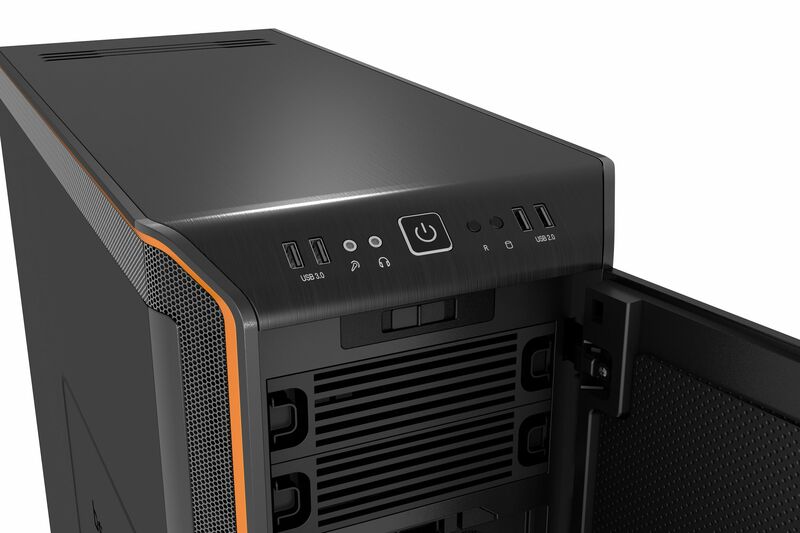 Dark Base 900 features unrivalled flexibility with impeccable cooling and silence attributes. 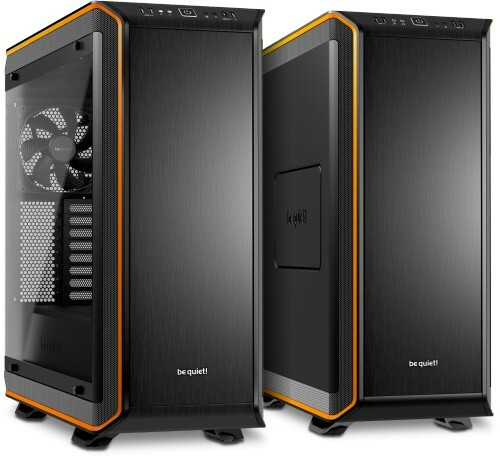 It was designed for high-end enthusiasts and individualists – all of those who expect the highest standards when it comes to modularity, compatibility and design for their high-end workstations as well as overclocked and silent water-cooled systems. Pro or not Pro, that is the question! 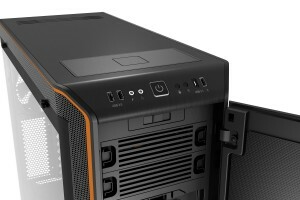 Physically there is no difference between the Pro and non-Pro version of the Dark Base 900. 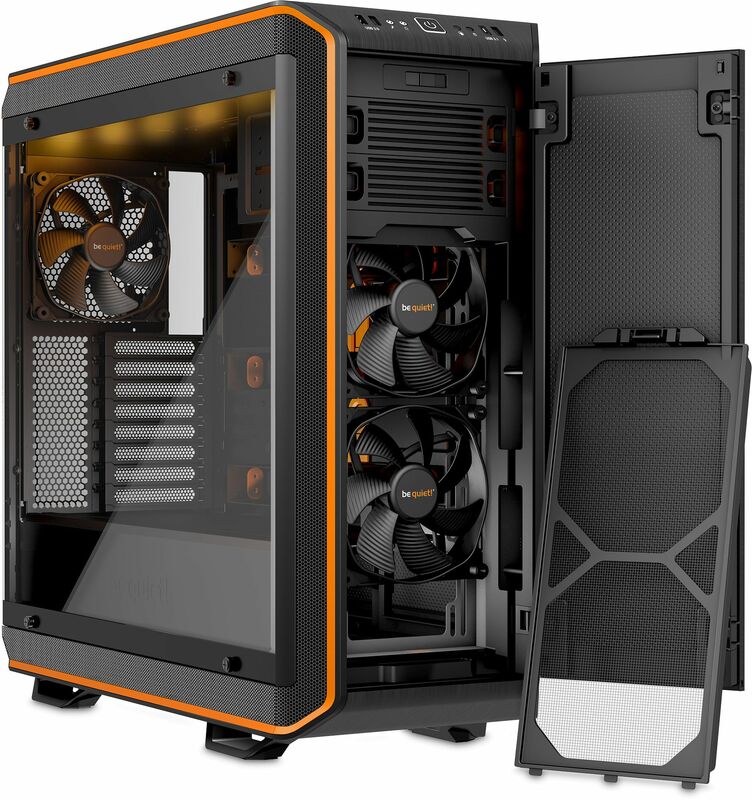 They both feature modular construction and three 140mm SilentWing fans. Apart from the obvious tempered glass side panel the Pro version also features a Qi (pronounced Chee) charger. This allows for you to wireless charge at Qi compatible device, like a mobile phone. The other feature to note is that the Pro is supplied with an eye-catching RGB LED illumination that you can freely position in the case. The only other difference to note is that the Pro version has a USB Type-C port at the front of the chassis. If these features appeal to you then go for the Pro. If not, then opt for the non-Pro version. Whichever case you choose you will not be disappointed.